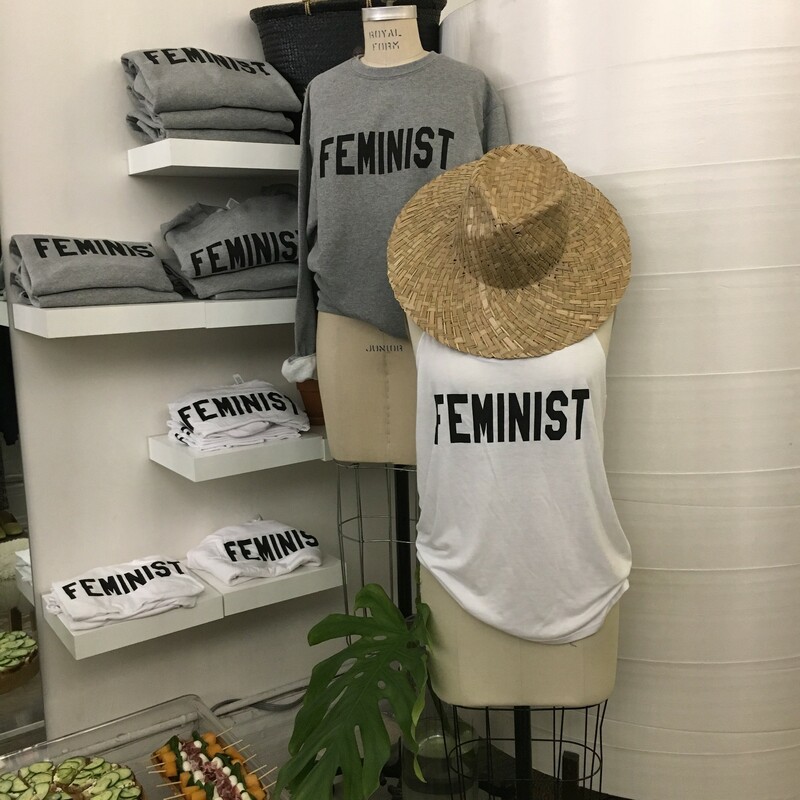 As many of you know, the team at Meg have been fundraising for Planned Parenthood since early January donating $10 from the sale of every feminist sweatshirt sold to them. 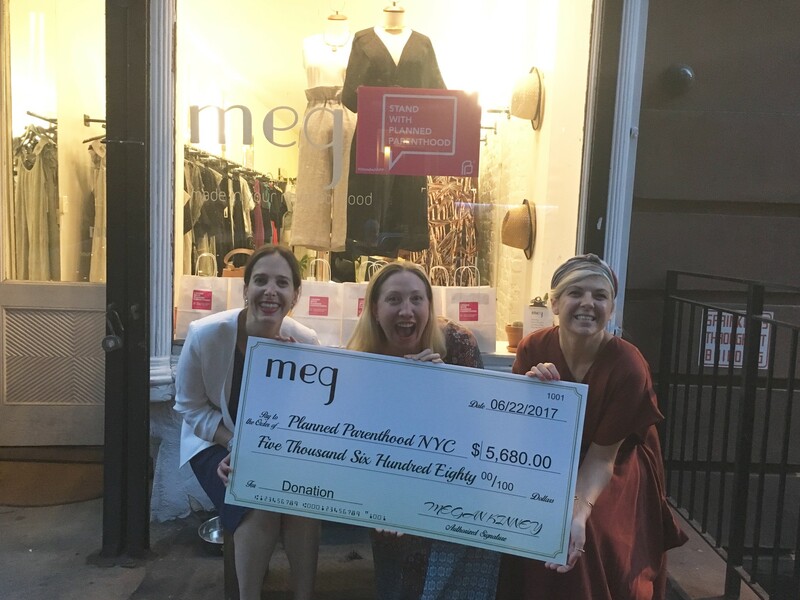 After selling a significant amount of sweatshirts over the past six months in all our stores and online (with thanks to all our lovely customers), we proudly presented Planned Parenthood NYC with a BIG CHECK for $5,680 last month. 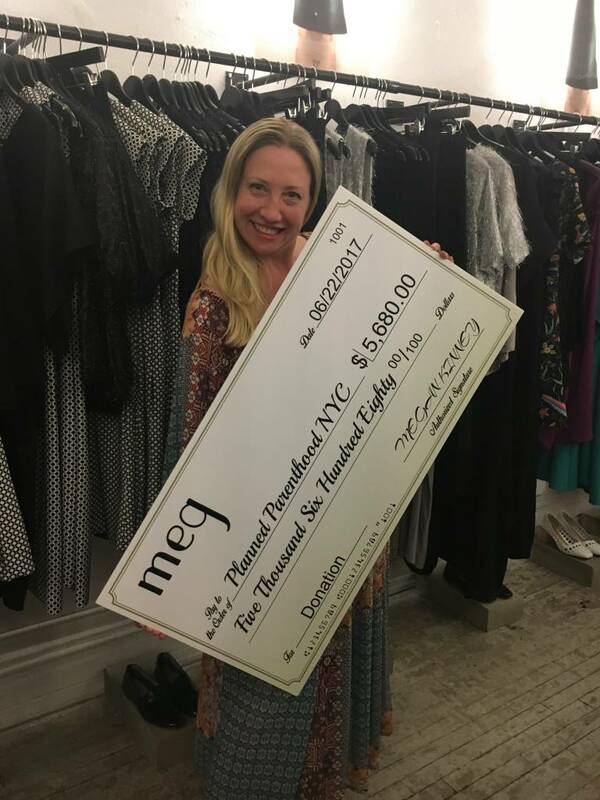 This was also a #goals moment for Meg and Carie who have always wanted to present a big check! 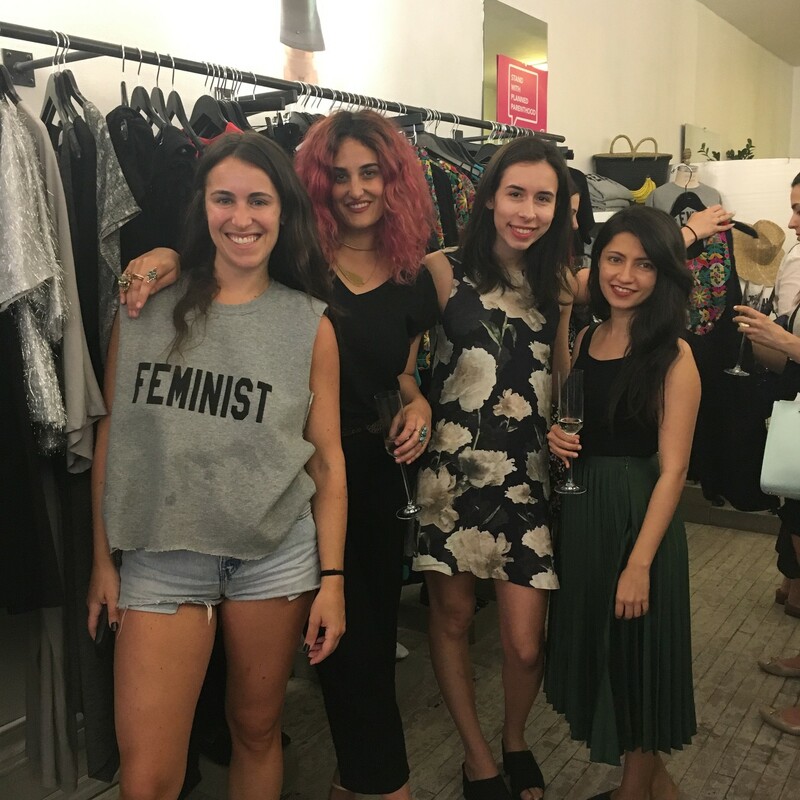 That evening, our East Village flagship hosted a shopping party in honor PPNYC and unveiled the new Feminist tank for the summer. 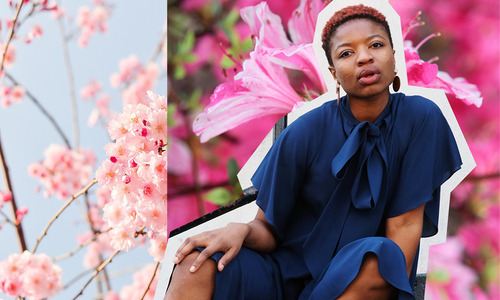 We raised a further $1,540!!! 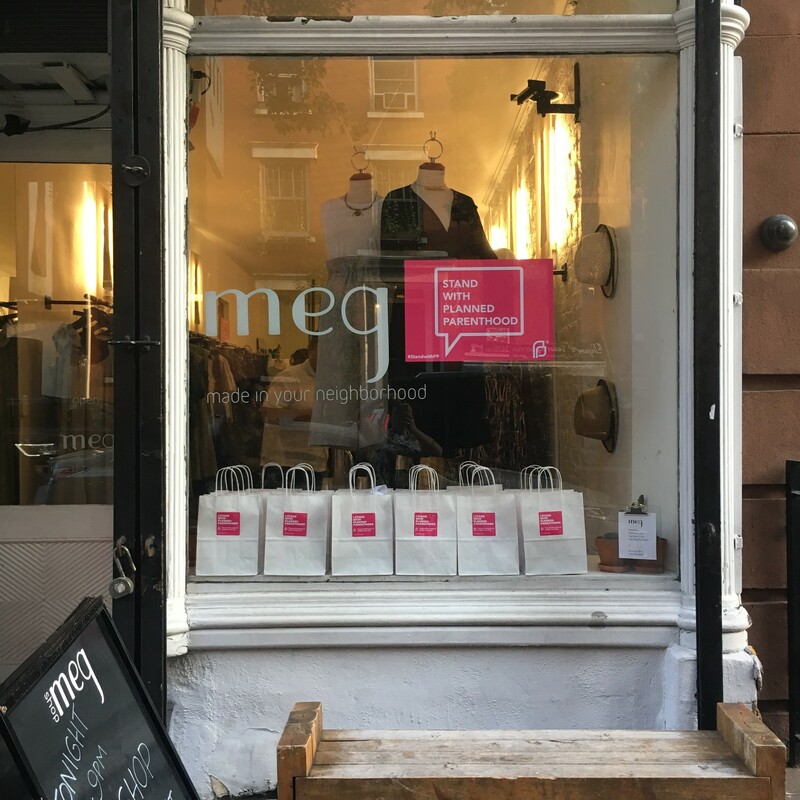 On top of that, it was so fun to hang out with new customers and our loyalists. 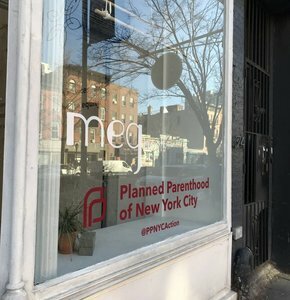 Lisa Rubin from Planned Parenthood NYC's Board and Alexandra Natale from Planned Parenthood's Development team joined us to answer questions and accept our gift.